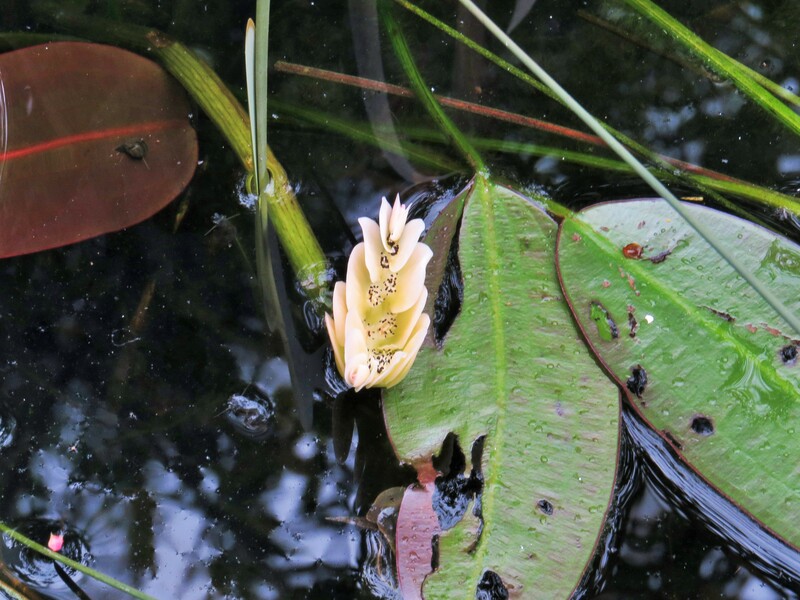 Dear Readers, this was one of the plants that I put into my pond when it was first created in 2011, and this is the first time that it has flowered, so I thought I would share it with you. What a strange bloom it is! At first I thought the flower was full of little black insects, but a closer look reveals that the stamens are deepest chocolate-purple. The shape of the flower is most unusual – it opens into a ‘Y’ shape which I don’t think I’ve ever seen before. Each ‘flower’ is in fact a collection of single-petalled white flowers, each with their own set of stamens. 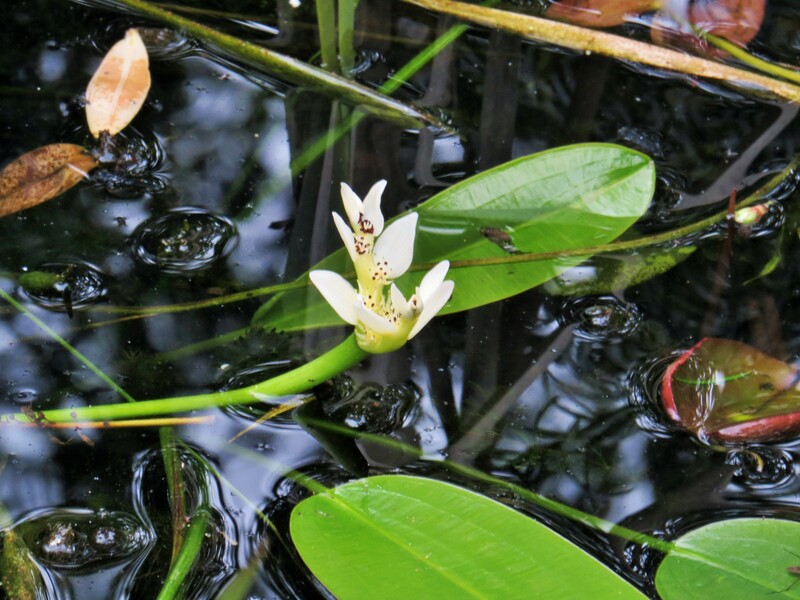 When the flower is pollinated, it apparently bends below the surface of the water to allow the fruit to ripen. The seeds then float away from the parent plant, sink, and wait until conditions are right to develop into a new plant. Water hawthorn comes originally from the Western Cape and Mpumalanga regions of South Africa, where it is known as waterbloometjie or ‘water floret’. It is a plant of ephemeral pools, rather than permanent ones like mine: it blooms with the autumn rains, and becomes dormant when the pond dries up in summer. Water hawthorn species store all the water and nutrients that they need to survive in their dry tubers, but this means that they are rather easy to dig up in the dry season: one related Thai species, Aponogeton crispus, was nearly driven to extinction when it was ‘harvested’ in this way for aquariums, and is now protected. All the plant books advise the gardener not to assume that the plant has died when it disappears, but I did think that mine might put in an appearance more often than every eight years. However, I guess the conditions in the pond are finally to its liking, and maybe it will be a bit less shy from now on. The flowers are said to be highly-scented, but I must say that I haven’t noticed so far: maybe the temperature needs to climb a bit to bring out the fragrance. I have heard the perfume described as like ‘vanilla’ (lovely) or, more likely, like hawthorn (something of an acquired ‘taste’). It was brought to Europe in the eighteenth century, and has since naturalised in some places in the UK and France. Further afield, it can be found growing wild in California and in Australia. It is mentioned as a potential problem in my ‘Field Guide to Invasive Plants and Animals in Britain’ by Olaf Booy, Max Wade and Helen Roy, but the authors grudgingly admit that the plant doesn’t appear to spread much by itself without human help. In this it varies from other water plants which are really making an impact on UK waterways, such as parrot’s feather (Myriophyllum aquaticum) and floating pennywort (Hydrocotyle ranunculoides), both of which were popular pond plants and have since become a real menace, choking out every other plant. As with many ‘invasive’ plants, one solution is to eat them, and the buds and new flowers of water hawthorn are eaten in South Africa in a stew, usually with lamb.If you fancy having a bash (and with only three flowers this year I won’t be joining you), there’s a recipe here. There are also some rather mouth-watering photos here, where the waterblommetjies bredie is described as tasting ‘like a combination of winter and spring’. I love the way that this website gives me a world tour every week. 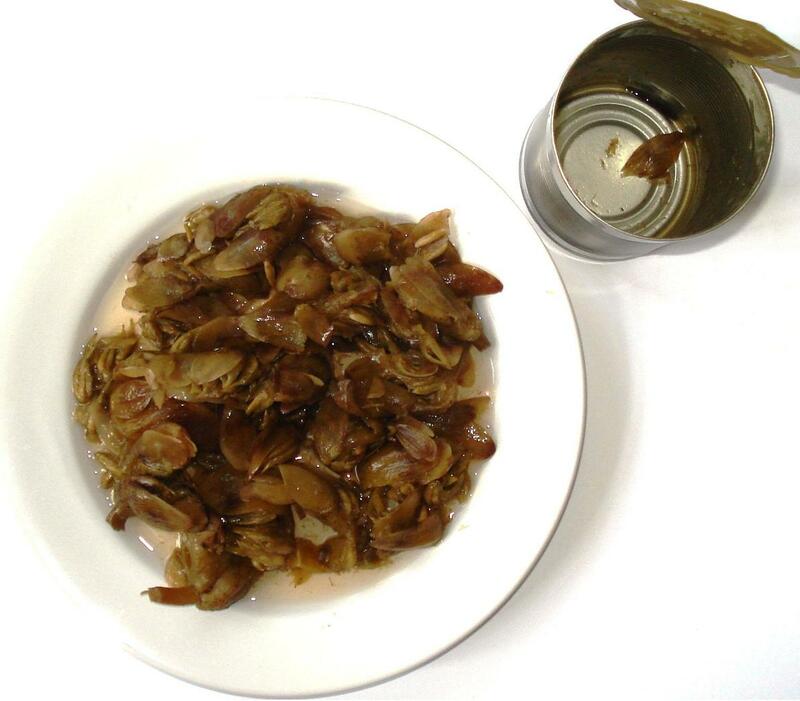 The recipe for the stew, called waterbloometjie bredie in Afrikaans, came originally from the Khoikhoi people of the Cape. 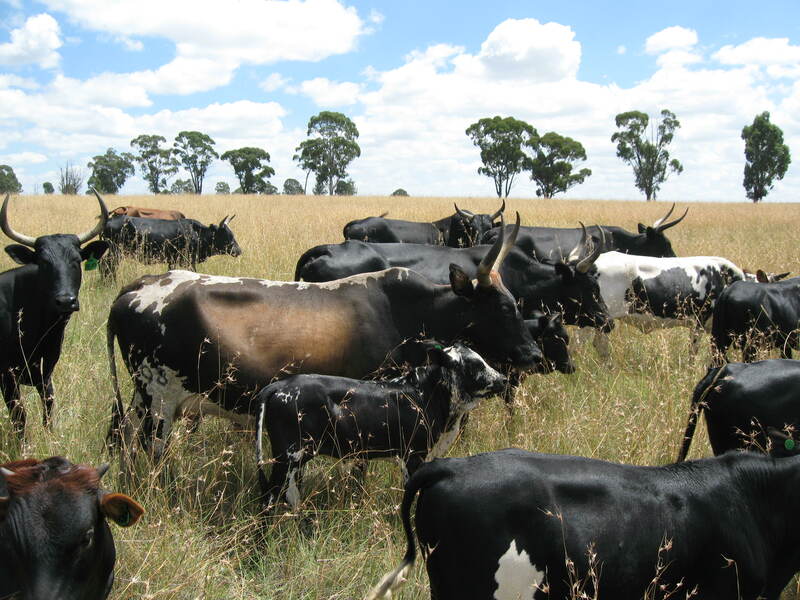 They were a nomadic people who maintained large herds of Nguni or South African cattle, a breed specially adapted to the highveld area. The cows have a characteristic black nose, and were bred in a variety of colours to provide uniforms for the different regiments of the army of King Shaka of the Zulus. The king’s personal guard wore the pure white hides of the cattle from the king’s herd. But as usual, I digress. 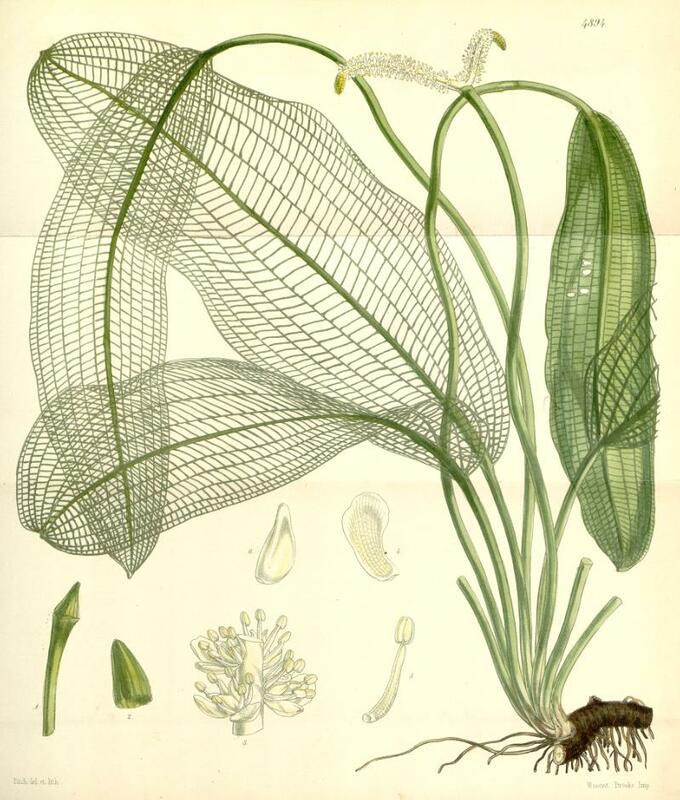 The Aponogeton family has 56 species, in Africa, Australia and Asia, all of them pond plants. 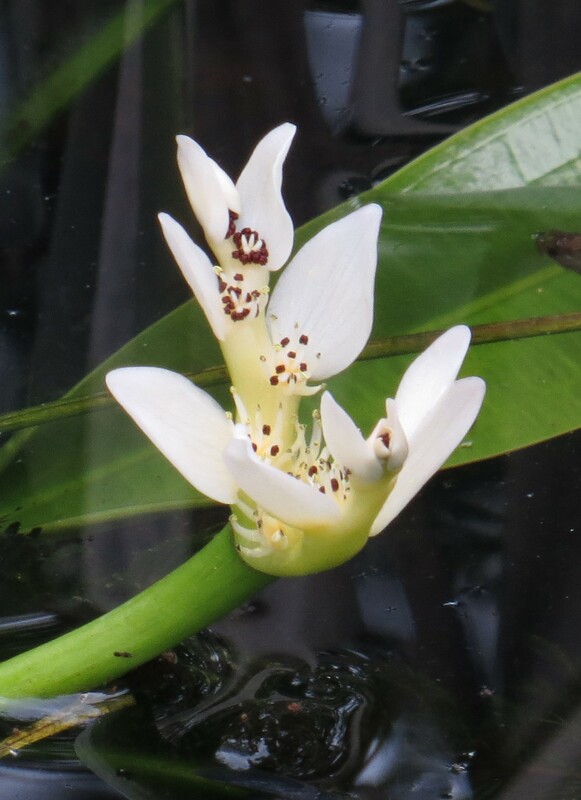 So far only the water hawthorn has become popular as a garden plant, but there are several species from Madagascar currently in cultivation, including the rather beautiful Aponogeton madagascariensis or Madagascar laceleaf. I just hope that the revenues from the sale of this plant will help the populations of that extraordinary country. Several species are also cited as being good for aquariums. Now, in the hunt for a poem about this plant I decided to go with its Afrikaans name. And here, for your delectation, is a lovely combination of image and words from the website Haiku Out of Africa by Liz Bard. This entry was posted in Uncategorized on April 17, 2019 by Bug Woman. 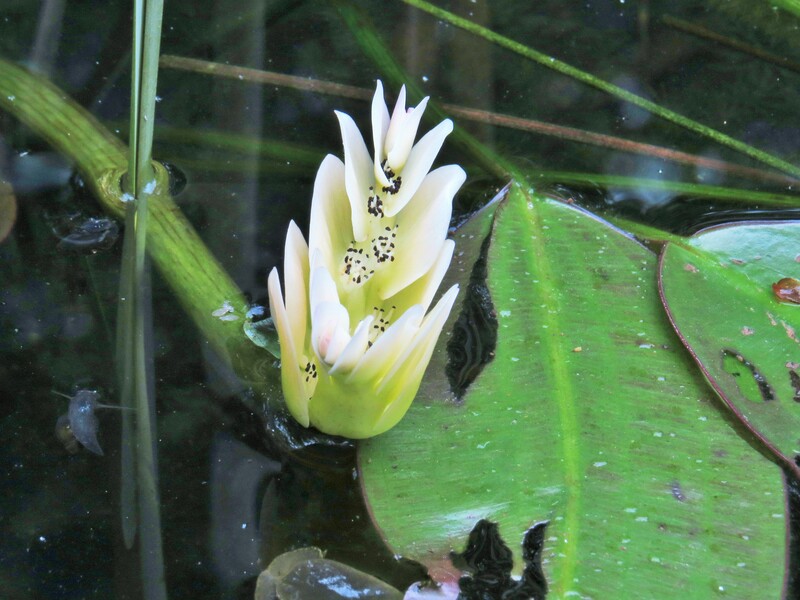 Was particularly interested in this as it was my favourite plant in my large pond when I lived in Normandy. I can confirm they are highly scented and also that they germinate very easily from seed. Mine survived, just, the depredations of coypu. I also love the long oval leaves. I recommend them as, once they get going, they are a lovely addition to a pond without the attendant problems of being invasive. This has been a delight to read- in fact I ‘savoured’ it twice to better absorb your offering along with the haiku and the BBC link.